This entry was posted in Animated Movie Reviews, Animated Movies, Reviews and tagged Action, Broly, DBZ, Dragon Ball, Dragon Ball Super, Film Review, Goku, Movie Review, Review, Sequel, Thriller, Vegeta by dreager1. Bookmark the permalink. I feel empty missing this in the theatrical run by Fathom Events, how else can I see it? 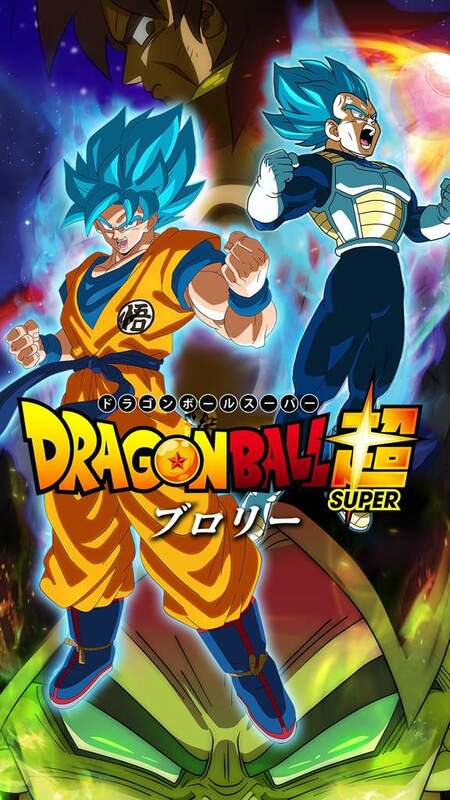 I’d like to see the next Dragon Ball show pick up where this movie left off, and I’m hoping they don’t turn DB into a film series instead of a new show. It’d almost be like “One Punch Man” levels of waiting for the next movie to release. Agreed, I don’t want them to wait as long as OPM does. I want another long running weekly show that I can count on to be here week after week. Having something dependable like that is always a must. Jiren wss stated to be the most powerful foe Vegeta and Goku had fought up to that point, with Whis even stating Jiren’s supressed power was equal to a God of Destruction, before we even see his full power. Goku used Ultra Instinct Omen quite a few times, and everytime he grew more and more powerful, yet Jiren was still the stronger fighter. Until we see Mastered Ultra Instinct, where Goku not only can hurt Jiren with little effort, but can also dodge with no need to even think about it. It’s true once Jiren broke his limits he proved he was stronger for a short period of time, but it wasn’t long after that Goku gained EVEN MORE POWER after becoming enraged when Jiren was finally proven to be weaker. Then we have this movie, which takes place after ToP, and this helps in finding out just how strong Broly truly is. When you mention themes from the movie, did you mean “Blizzard” by Daichi Miura? That theme was awesome! (This theme was used in the trailers leading up to the release). I’m not sure which one Blizzard was. If that’s the one from the final trailer then I don’t even remember it popping up in the movie. If it’s the lyrical theme for the Gogeta fight then I wasn’t a big fan of that one. I loved the trailer theme from the first big teaser, I think it shows up as “Paragus Rage” theme. That one was nice and foreboding. I wonder how Whis and Beerus would fare against Broly? Whis can use Ultra Instinct in a way, and Beerus has the power to destroy “anything,” so maybe together they could defeat him. I still like to believe Vegeta and Goku both have surpassed Beerus, even if they’ve never fought him at his peak. Whis might still be stronger than them, because he spent a lot of time training them and even offered Goku the chance to become the new God of Destruction if Beerus “kicked the bucket.” Of course Vegeta will still be the stronger character if not for his willingness to do what one must in order to win a fight, a subject Goku still struggles with now. Those are valid points, however, one needs more than just raw power in order to fight well, and Broly for the most part relies on base instinct instead of planning or out-thinking his foes. That’s why I think Goku (Mastered Ultra Instinct) is still the superior warrior, because in this forme he can use his power to the fullest, with no need to worry about damage or tanking a hit. While one could argue that Broly is the same in how he adapts to his enemy’s power level, he still lacks the brain power to make full use of the seemingly limitless strength at his disposal.